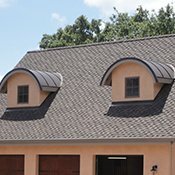 Please look at our full range of roofing systems - metal roofing, composition shingles, roofing tile and more. 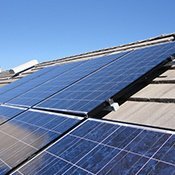 Photovoltaic Solar panels are usually the best home and financial investment you can currently make. Walking decks are a flat walkable surface over a covered space or living quarters. 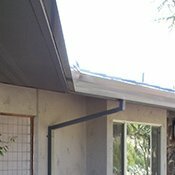 Copper Gutter and Downspout Systems made from our State-of-the-Art gutter machines. encourages truth, honesty and fairness in the marketplace, and responsive customer service. Modern Method Roofing Company is owned and operated by Bret Hummer. Our company has been in business for the past 63 years, with a long list of customers who have benefited from our years of roofing experience in Napa and surrounding areas. Because we have been in business for so long, our customers trust us, knowing we stand behind our roofing installations. The Modern Method Roofing Company Team is committed to professionalism, excellence and perfection in workmanship. 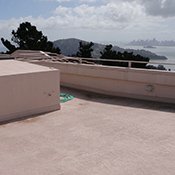 Our Long-Term Warranties and Leak Free Workmanship Warranty are well above industry standards, and when you get a roof from us, you benefit from a company that’s been operating in the Napa Valley and North Bay Counties for 63 years – We have been tested by time, and we are trusted by customers. We cover many Bay Area counties and are fully insured with Liability coverage and Workman’s Compensation insurance. Our office, sales and management team will support you from your first contact, whether it is by email or a phone call, all the way through to the completion of your roofing project. If you have a roofing question, lookat our Roofing FAQs section for answers to some general roofing and technical questions. Additionally, for your use, there is a glossary of roofing terms you can check out while you’re visiting our website. Contact us for a free estimate, either online or by phone.